The cold months of the year bring a flurry of beastly germs to our doorstep. These wee-but-wicked pathogens must sense that our immune systems are vulnerable—especially during the holidays when rich food and drink prevail. I like to start bolstering my family’s immune systems early in the cold & flu season; well before everyone around us is sniffling and sneezing. Practices like eating a nourishing diet; getting plenty of sleep, sunshine, and water; and proper hand washing are essential, but I also rely on a handful of tonic herbs to keep us healthy and resilient. Herbal immune tonics are traditionally taken on a daily basis during the fall and winter months to strengthen immunity and lessen our chances of succumbing to common viral infections. These herbs are slow-acting with a prolonged effect, so they must be taken regularly to be beneficial. They differ from immunostimulating herbs (also known as immune stimulants) like echinacea (Echinacea purpurea) and spilanthes (Acmella oleracea), which are taken right at the onset of an illness for on-the-spot protection. Therapeutically, immune tonics are also used to address poor immune resilience—for example, individuals who experience frequent infections—and to boost the immune system in preparation for cold and flu season. You’ll notice that two of the remedies we feature in this article are mushrooms: reishi and turkey tail. This is no coincidence—many of our premiere immune tonics are fungi. We use the term “herb” loosely here at the Chestnut School to include therapeutic medicinal trees, shrubs, herbaceous plants, and mushrooms. Most immune tonics fall into the category of immunomodulators, which are herbs that have balancing, or amphoteric, effects on the immune system (making them more appropriate, in general, for folks with autoimmune conditions, as compared to immunostimulating herbs). You can read more about both immunomodulators and immunostimulants in our in-depth article on Herbs for the Immune System. Please note that this article is introductory in scope and doesn’t fully cover each medicinal. If you plan to forage any of these herbs, you’ll need to seek out trustworthy identification tips. You’ll also need to learn foraging ethics before you harvest any plant from the wild! There are deadly poisonous plants and mushrooms out there, so proper identification is paramount. 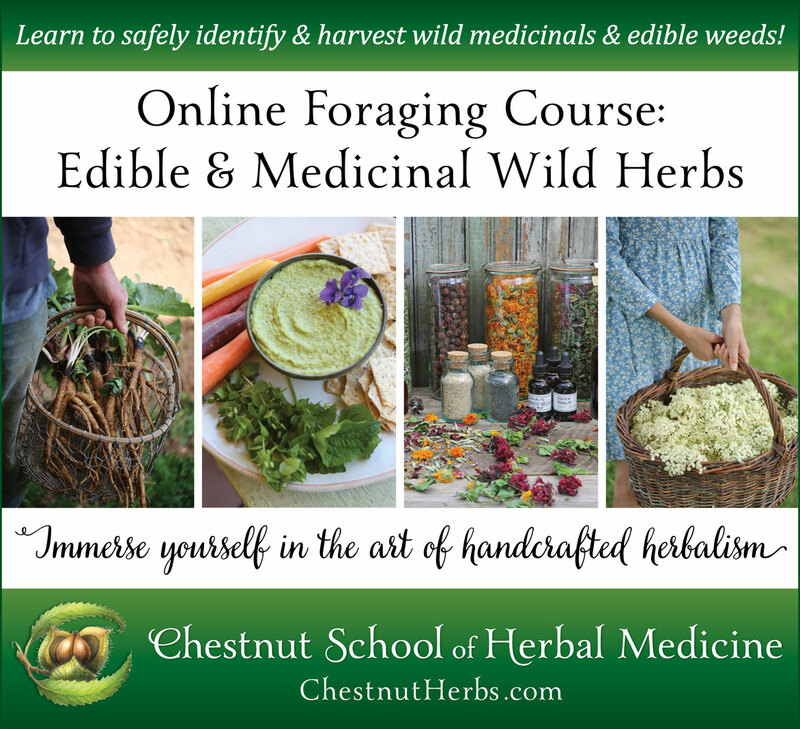 See our Foraging and Wildcrafting resources on the blog for more guidance. Before we dive into the herbs and mushrooms, we’d like to share a reminder that a healthy lifestyle is the best immune booster! Herbs are excellent supporting players, but we can’t rely upon them to be the only stars in the show. To read up on our suggestions for holistic immune health, visit our comprehensive article on Herbs for the Immune System. Known as the ‘mushroom of immortality’, reishi is an herbal immune tonic and immunomodulator. Taken regularly, it can enhance and fine-tune the body’s immune response. It’s especially helpful as a daily remedy for those who have weak lungs or who frequently succumb to respiratory infections. It strengthens the circulatory system and is a legendary adaptogen, making it a supreme ally for increasing overall resilience. Reishi is also a traditional tonic for anxiety and can help impart calmness in a slow and sustained manner. Reishi is better prepared as a tea than a tincture, as some of its medicinal properties are destroyed by high percentages of alcohol. Simmer the mushrooms for a few hours to fully extract its polysaccharide compounds, which are the active immunomodulating compounds. Its flavor is slightly bitter, so I like combining it with pleasant-tasting herbs like astragalus (Astragalus propinquus), licorice (Glycyrrhiza glabra)*, and cinnamon (Cinnamomum verum) —it’s particularly delicious in herbal chai blends. I also add a handful or two of dried reishi slices to bone or vegetable broth when I have a pot simmering. Contraindications: Use cautiously with blood-thinning medication. Avoid if you have mushroom allergies. *Avoid licorice if you have high blood pressure, edema, or a cardiac condition. The berries of elder are one of our most treasured immune tonics—they are effective, nourishing, and delicious when prepared as a dark purple syrup. Taken daily throughout the fall and winter, elderberry offers us protection against colds, flu, and other viral infections. One study demonstrated elderberry’s antimicrobial effects against two strains of the influenza virus and several bacteria that are commonly responsible for secondary, or concomitant, sinus infections with the flu. And in the case of an illness, elderberry is immune stimulating, diaphoretic (helps to break a fever), and anticatarrhal (decreases mucus in the respiratory passages). Studies show a lessening in the duration and severity of cold symptoms as well as the flu. I prepare elderberry syrup by combining equal parts elderberry tincture, elderberry tea, and elderberry-infused honey. Children love this remedy, which can be made alcohol-free if you prefer (you can substitute a vinegar extraction for the alcohol-based tincture). Doses can be liberal (by the tablespoon), several times per day. Do not give elderberry honey or syrup containing the honey to babies younger than one-year-old. Elder flowers also demonstrate strong antiviral activity against influenza, and can be integrated into your elderberry syrup along with other immune-boosting herbs like cinnamon (Cinnamomum verum) and ginger (Zingiber officinale). Curious to see a step-by-step demonstration on making herbal syrups? Visit our video tutorial and download our syrup guide! Dried elderberries can be purchased online from sources like Mountain Rose Herbs, and fresh, frozen elderberries can be purchased from organic farms (you’ll need to do an online search for these). However, elder is also a classic garden-grown medicinal and forageable herb. If you plan to forage elder from the wild, you will need to do some serious botanical detective work. There are several deadly poisonous look-alikes, including water hemlock (Cicuta spp.). Contraindications: Eating raw (uncooked or untinctured) elderberries can cause nausea, vomiting, and/or diarrhea in many people. Once the plant has been purged from the system, there is no lasting illness. In general, we suggest starting with small doses and working your way up to assess tolerance. The flowers, tea, tincture, syrup, and cooked berries are unlikely to cause any side effects. Garlic is an essential staple in my kitchen as a potent immune system tonic and antimicrobial herb. It can be highly effective in preventing infections such as the common cold and flu, as well as infections of the digestive tract. The volatile oils in garlic are excreted through the lungs, making it especially beneficial for infections of the respiratory system. One randomized controlled study showed that garlic reduced the incidence of common cold. Here’s a review of garlic’s demonstrated activity against various pathogenic bacteria, fungi, and protozoans. Our family prepares a special garlic sauce every week made of raw garlic, extra-virgin olive oil, sea salt, and nutritional yeast. The sauce goes on avocado toast, eggs, pasta, chili, soup, baked potatoes, you name it. We keep it in the refrigerator (important, as garlic oil can harbor botulism and has made people sick) and literally pull it out at every meal. Our family of three goes through a quart a week and we rarely catch colds. Garlic is easy to add to the diet as a culinary herb, and I always save my garlic skins to toss into broths. The suggested daily dosage is one clove per day, added to food. My favorite garlicky preparation is fire cider—a sweet and spicy tonic made with apple cider vinegar. I recommend trying our ruby-red recipe for Hibiscus Pomegranate Fire Cider. To fully capitalize on garlic’s antimicrobial and blood thinning qualities, it should be eaten raw. Contraindications: Garlic can aggravate heartburn and gas, especially if ingested raw or in large quantities. It can also aggravate peptic ulcers. Coating garlic with olive oil or preparing it in an oil-based sauce helps minimize these effects. Avoid high doses of raw garlic one week before surgery due to its blood-thinning qualities. If taking blood thinners, consult a cardiologist before taking high doses of raw garlic. Astragalus is best used as a daily remedy to build immune strength—its medicine is slow and sustained, with full benefits reached after weeks of daily ingestion. In Traditional Chinese Medicine, astragalus augments the Wei Qi, which can be likened to a protective sphere, shielding the body from harmful external pathogens. Because astragalus is a food herb, it’s safe to take relatively large amounts regularly. I love adding a handful to broth, integrating the fine-flavored root into herbal chai, and mixing the powder into goo balls, cookies, and other treats. Tincture is not recommended because alcohol doesn’t optimally extract astragalus’ immune-enhancing polysaccharides. These polysaccharides are water soluble and more readily extracted with prolonged decoctions or simmering. Astragalus root has a sweet, beany flavor (it is in the legume, or bean, family, after all), making it easy to sneak into the diets of picky eaters, including kids. Toss a few of the pressed roots (these look like tongue depressors, and are pictured above) into any simmering stew, soup, or sauce, and it will impart only the tiniest of flavor imprints! The roots can be pulled out of the dish, much as you would pull out a bay leaf, right before serving. Contraindications: Because astragalus stimulates immune activity, it could potentially weaken the effects of immunosuppressive pharmaceuticals, such as cyclosporine and corticosteroids. This adverse reaction is theoretical in humans but has been verified in animal studies.4 In high doses (30 grams or more) and via injection, astragalus has caused itching and allergic skin reactions. Symptoms of overdose may include headaches, insomnia, dizziness, hot flashes, and hypertension. Like other medicinal mushrooms, turkey tail is best taken as a decoction or added to broth blends. Again, this is a perfect time to incorporate the warming flavors of chai. Turkey tail is mildly bitter—combine it with other medicinal mushrooms that are pleasant in flavor, such as shiitake (Lentinula edodes), maitake (Grifola frondosa), or lion’s mane (Hericium erinaceus). I make an herbal broth over the winter that contains astragalus, reishi (just a little, so it’s not too bitter), shiitake, turkey tail, calendula (Calendula officinalis), and seaweed. We add the broth to soups, stews, and marinades, and my picky daughter doesn’t notice the herbal flavor. However, her immune system certainly takes note! Turkey tail is one of the most common woodland mushrooms in the world—it’s likely growing near you! It can be found exclusively on dead hardwood trees, stumps, and branches (and sometimes on dead conifers). Turkey tail does have some look-alikes, and proper identification is essential. That being said, many people successfully learn to know and recognize turkey tail. Its fruiting body is fan-shaped—bearing a likeness to a turkey’s opened tail feathers—with colored bands of blue, brown, red, gray, and white. Its undersides are white or tan in color and spotted with tiny pores (NOT gills). False turkey tail mushrooms (Stereum spp.) have a matte, tawny underside with no visible pores. After you’ve successfully identified it, look for healthy, young flushes of mushrooms to harvest. Leave plenty behind, so the mushroom can make spores and reproduce. Our family likes to chew on a piece or two while hiking for a fun fungal gum alternative. You can also find turkey tail in medicinal mushroom preparations online and in your local health food store. Contraindications: Avoid if you have mushroom allergies. Moyers S. Garlic in Health, History, and World Cuisine. Suncoast Press; 1996. Bergner P. The Healing Power of Garlic: The Enlightened Person’s Guide to Nature’s Most Versatile Medicinal Plant. Prima Lifestyles; 1995. Denzler K, Moore J, Harrington H, et al. Characterization of the Physiological Response following In Vivo Administration of Astragalus membranaceus. Evid Based Complement Alternat Med. 2016. Chu DT, Wong WL, Mavligit GM. Immunotherapy with Chinese medicinal herbs. I. Immune restoration of local xenogeneic graft-versus-host reaction in cancer patients by fractionated Astragalus membranaceus in vitro. J Clin Lab Immunol. 1988. http://www.ncbi.nlm.nih.gov/pubmed/3260960. 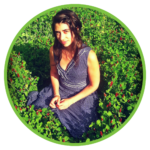 Hobbs C. Medicinal Mushrooms: An Exploration of Tradition, Healing, and Culture. Book Publishing Company; 2002. Rogers R. The Fungal Pharmacy: The Complete Guide to Medicinal Mushrooms and Lichens of North America. North Atlantic Books; 2011. Patel, S, Goyal, A. Recent Developments in Mushrooms as Anti-Cancer Therapeutics: A Review. 3 Biotech. 2012.